It was the second showdown between Russia and Britain at the world body since the March 4 nerve agent attack. Russia told Britain at the United Nations Security Council on Thursday that "you're playing with fire and you'll be sorry" over its accusations that Moscow was to blame for poisoning a former Russian spy and his daughter. It was the second showdown between Russia and Britain at the world body since the March 4 nerve agent attack on Sergei Skripal and his daughter Yulia in an English town. Russia, which requested Thursday's council meeting, denies any involvement. The attack has had major diplomatic ramifications, with mass expulsions of Russian and Western diplomats. The 15-member Security Council first met over the issue on March 14 at Britain's request. "We have told our British colleagues that 'you're playing with fire and you'll be sorry'," Russian U.N. Ambassador Vassily Nebenzia said during a more than 30-minute speech that attempted to poke holes in Britain's allegations against Moscow. 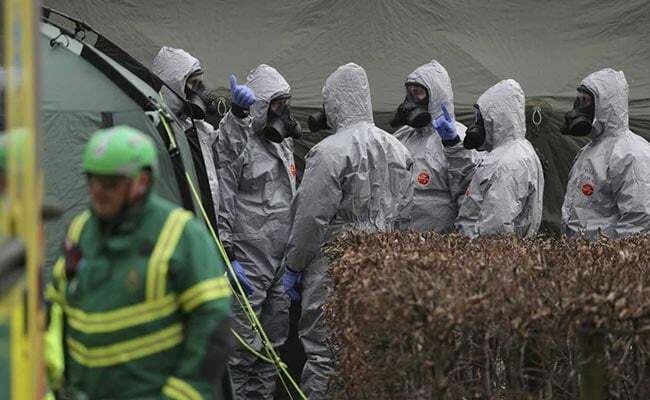 He suggested that anyone who watched television crime shows like Britain's 'Midsomer Murders' would know "hundreds of clever ways to kill someone" to illustrate the "risky and dangerous" nature of the method Britain says was used to target Skripal. British police believe a nerve agent was left on the front door of the Salisbury home where Skripal lived after he was freed in a spy swap. He was a military intelligence colonel who betrayed dozens of Russian agents to Britain's MI6 spy service. "We believe that the UK's actions stand up to any scrutiny," British U.N. Ambassador Karen Pierce told the Security Council. "We have nothing to hide ... but I do fear that Russia might have something to fear." "Allowing Russian scientists into an investigation where they are the most likely perpetrators of the crime in Salisbury would be like Scotland Yard inviting in Professor Moriarty," Pierce told reporters earlier on Thursday, citing a character from "Sherlock Holmes." At the end of the council meeting, Nebenzia read a passage from the novel "Alice in Wonderland" about a trial where the Queen demands the sentence first and the verdict afterward. "Does that remind you of anything?" he added. Pierce responded: "There is another very good quote from Alice in Wonderland which is: 'sometimes I've believed as many as six impossible things before breakfast' so I think that's the quote the suits my Russian colleague best."